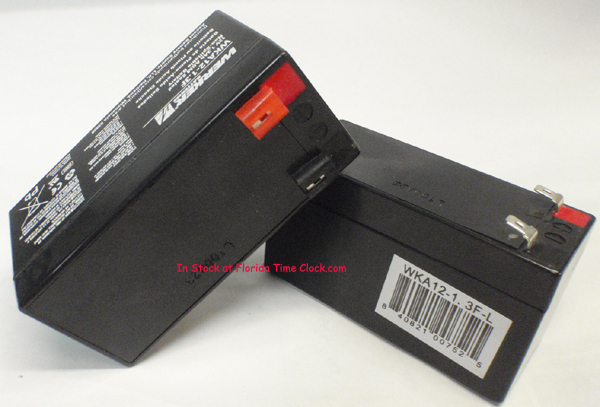 This is the Amano CP3000 Battery. It is inside the back of the machine. To replace the Amano CP3000 Amano battery, it, it is very important that you keep the machine plugged-in, or the program will be erased (that would be bad, you'll be calling us, we can help you). Cut the wire tie strap, unplug the old battery.replace it with this one. No wire tie needed to for this replacement Amano part.